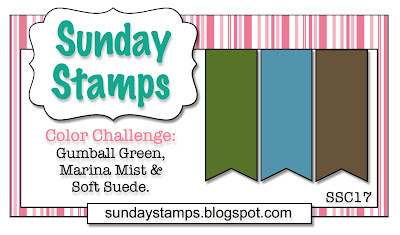 It's time for Sunday Stamps and this week Joan is bringing us a fabulous color challenge! She wants us to use the colors Gumball Green, Marina Mist and Soft Suede. Now Joan picked them because these hues remind her of fall but as soon as I saw them I instantly thought snowmen!! I've been in a snow mood and can you believe it, this morning we woke up to a dusting of snow! I was so excited! I was also jealous because parts of Anchorage (which is an hour south of me) got over 5 inches of snow....I cant wait for that! Make sure you head over to the Sunday Stamps blog to check out all the great projects from the rest of the design team and then play along with us, we'd love to see what you do with these great colors! 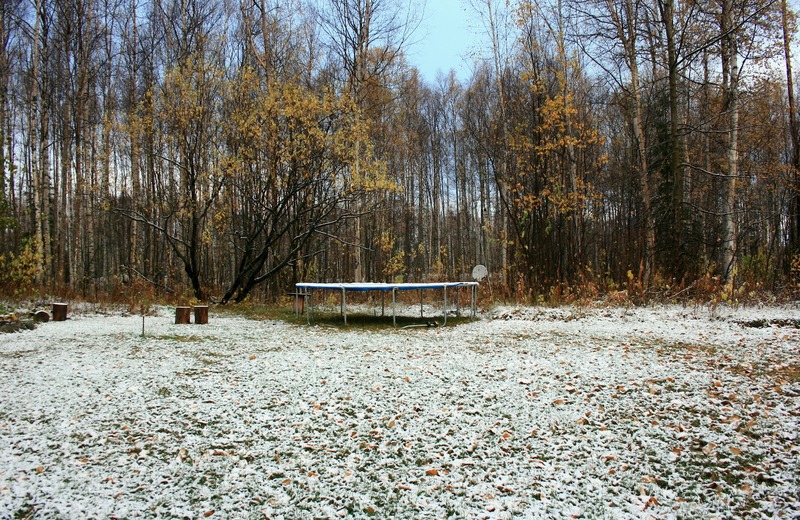 I had heard that Alaska (especially Anchorage) got snow yesterday. Now keep that up there and do not send it to Minnesota. Love your Christmas card with those cute snowmen. The first snowfall is always so exciting although I am not quite ready for it here. Fall is not quite in full color here yet. Love your cute Christmas card. Really love the bright blue with the green. Very fun. Sweet card! 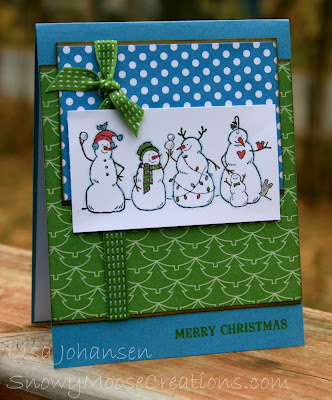 Love those snowmen and those colors together. I also like your real snow, too. Fall colors are beautiful in Northern Indiana right now, but the snow can stay with you for awhile yet. How exciting to see some snow! And these colors are perfect for these partying snow people!